The Steinway Gallery Singapore is proud to present the 4th Steinway Youth Piano Competition to discover the next national representative at the Steinway Regional Finals happening in Taiwan on the 7th August this year. Open to aspiring pianists aged 17 years and younger, the Steinway Youth Piano Competition holds a unique format with three separate age categories as compared to its regional and international counterparts. 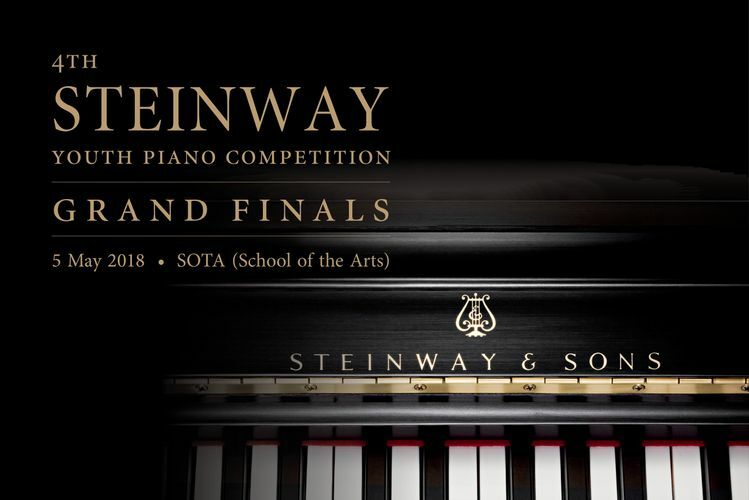 A representative from Singapore will be selected from 9 contestants on the 5th of May to represent the nation in the regional round, joining seven other finalists from Indonesia, Korea, Malaysia, Philippines, Taiwan, Thailand and Vietnam, who will compete to represent these Asian nations in the International Steinway Festival in Hamburg, Germany on 7 September 2018. Recognising the importance of nurturing young talent, the International Steinway Festival has been a regular and key event for Steinway & Sons since 1987, bringing together promising young pianists from all over the world for a musical get-together. Participants are given the unique opportunity to perform in front of an audience of piano music connoisseurs, contributing immensely to their foundation as musicians.